Through December, I’m focusing on business planning in my blogs. Look for checklists, processes, and systems–ready to use. Business Planning: How Was your Time Management this Year? If you’re like most of us, you have much more on your ‘to do’ list than you get to during your business day. What does that have to do with business planning? At this time of year, we need to analyze how we spent our time. Then, we can make adjustments for next year. All of us have the same amount of time, yet, some people seem to know how to optimize it. The notion that we manage time is actually a mis-nomer. We manage activities. Have you ever known an agent who comes into the office every day, seems to work hard, yet makes little money? That person would tell you he manages his time. Yet, his time is spent doing the wrong activities. (Or, maybe, he intends to spend his time in non-productive activities…….). Which are which: Those activities that have you meeting people directly, working with people, and selling houses are business producing. All the rest are business supporting. Click here to get my time/activity analysis, excerpted from The Business Planning System for the Real Estate Professional. Let me know what you found out from your time/activity analysis, and the changes you’re making for next year’s business plan. Looking for a method to cover all your bases, and make a business plan you can count on? 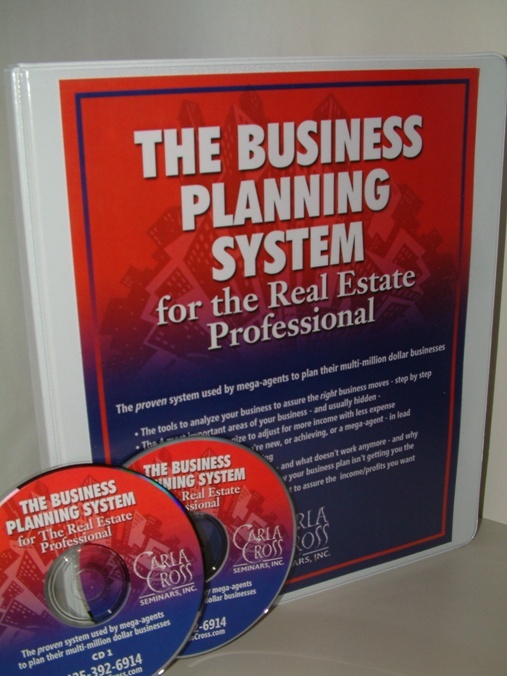 Check out The Business Planning System for the Real Estate Professional, with special pricing through December–and a business planning webinar bonus, too. 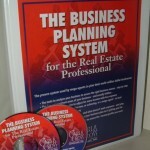 Business Planning: Got your Systems in Place?